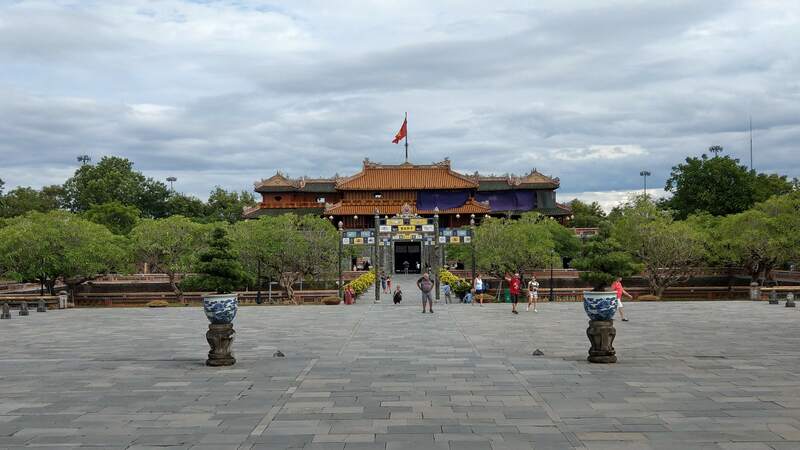 Hue was the second stop on my week-long trip to Vietnam. We took a bus with The Sinh Tourist from Hoi An to Hue. The trip lasted only 3 hours (instead of 4) and was very nice. 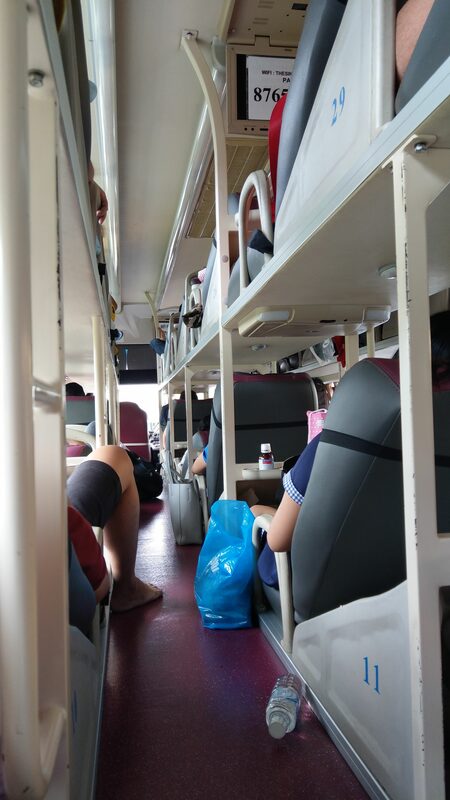 I discovered sleeper busses… and slept pretty well! 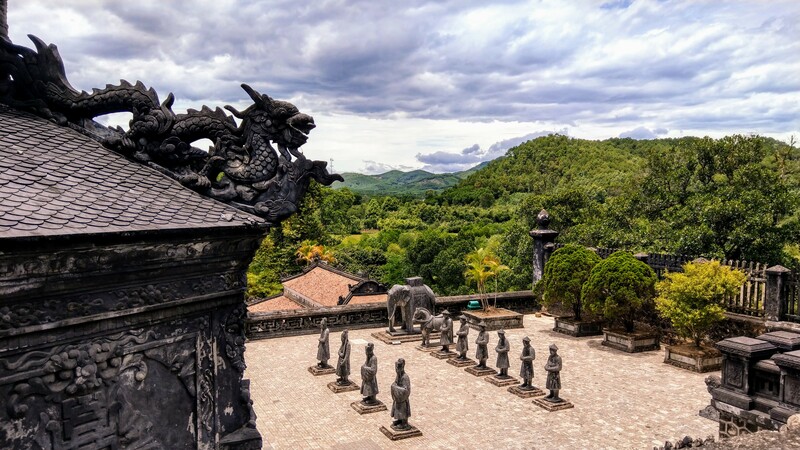 Hue is a big and busy city that feels much less cozy and traditional than central Hoi An. A small shock for us after a charming week-end down there. 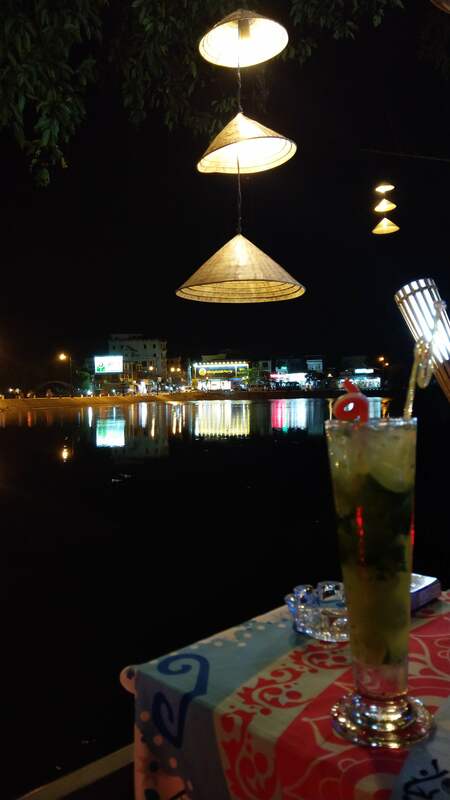 Restaurants: Our guide recommended us Lạc Thạnh, run by a family of deaf-mutes, to taste banh khoai, a sort of stuffed pancake that you make on your own with salad, vegetables or meat and peanut sauce. We also enjoyed the food from Nina Café at the end of a street you shouldn’t be scared to take! 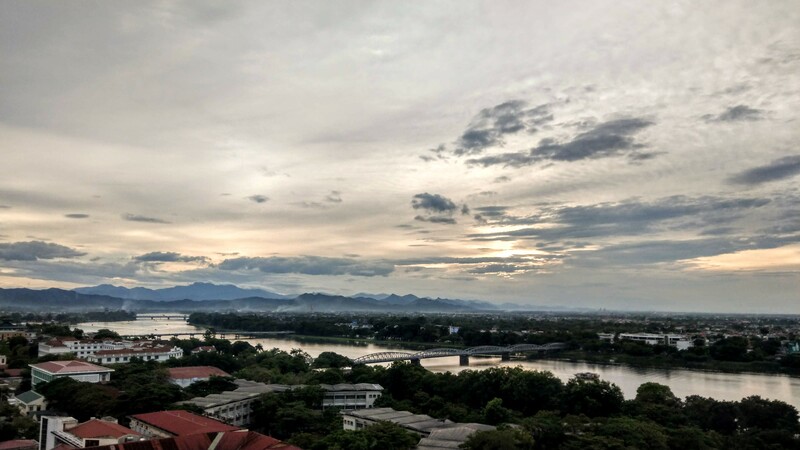 Bars: Yes, I’m repeating myself but I fell in love for the second time with a bar in Vietnam – the Garden River Café also hidden at the end of a street. 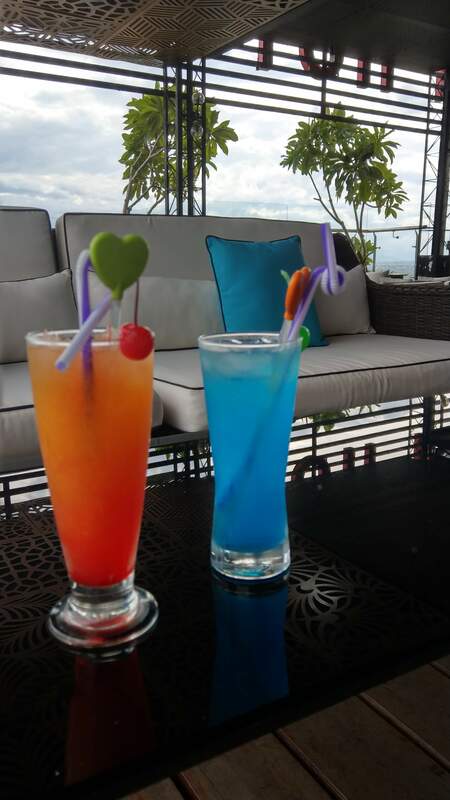 It’s a giant terrace with seats and objectsof different shapes and colours. Try the mojito! Hotel: We stayed at the Midtown Hotel Hue. The room was nice and big. The staff downstairs was very good: they changed our room as we had asked for a view on the sea and gave us a discount after hearing that we weren’t that happy about a massage with had with their partner (although we were speaking in French). The breakfast had a very large choice of meals and the sunset from the pool was amazing. 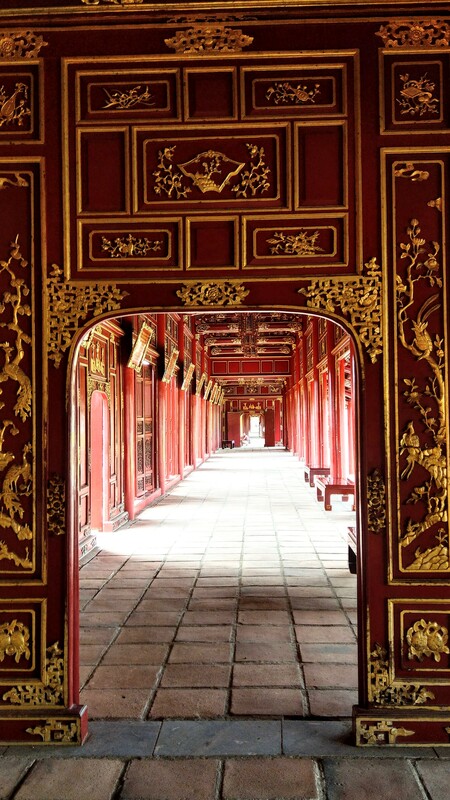 Imperial City: THE visit that you need to do when in Hue. Beware that you may only pay by card. The site is quite big so my best advice is to just take any door or any path you can find and open your eyes wide. 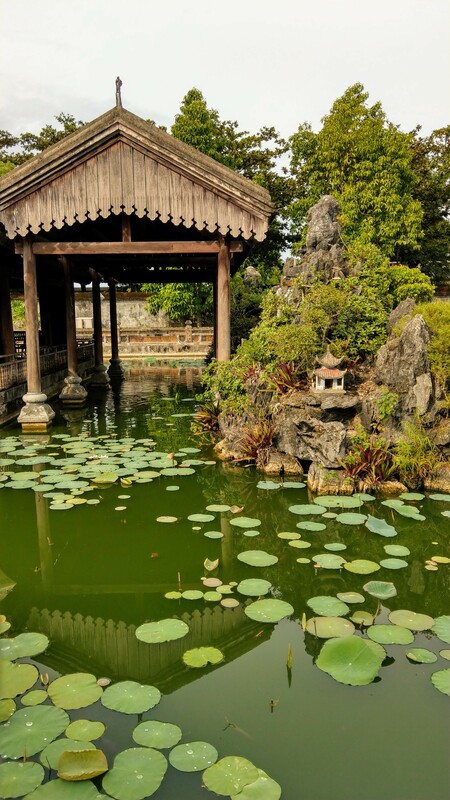 There are many imperial temples, houses and gardens to explore. 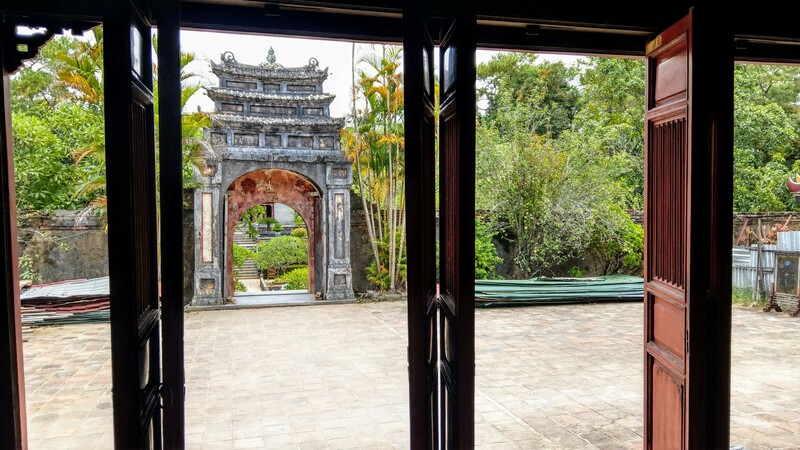 Unfortunately, many buildings have been distroyed during the US-Vietnam war. 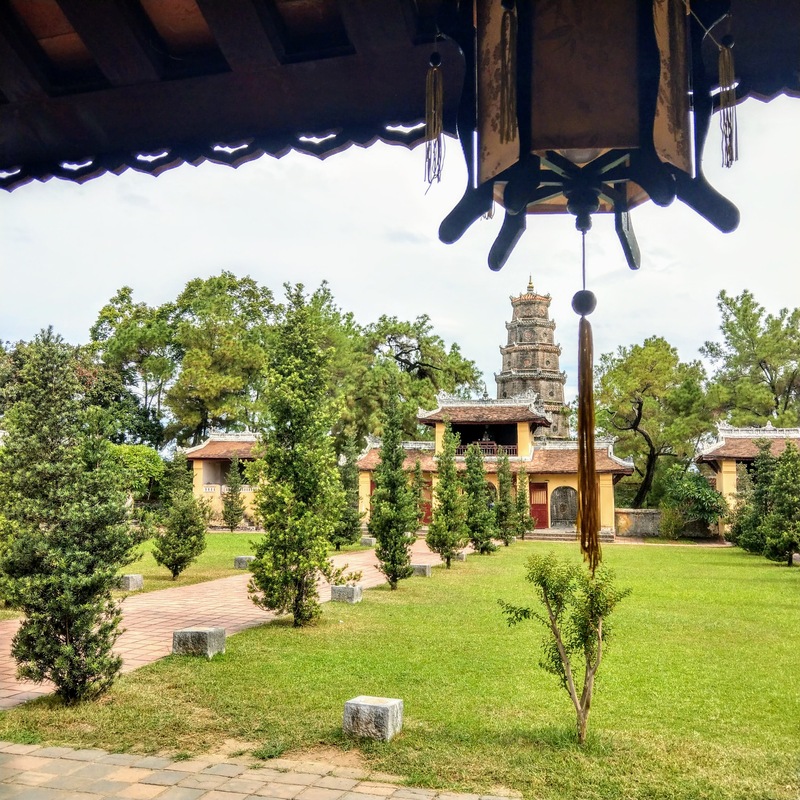 River and temples: we booked a private tour on a boat on the Perfume River to visit Minh Mang royal and Khai Dinh Tombs tombs as well as the Thien Mu pagoda with Hue private tours. The boat trip is lovely (but slightly long) and the sites are beautiful and the lunch was very good but we weren’t completely convinced by the tour. 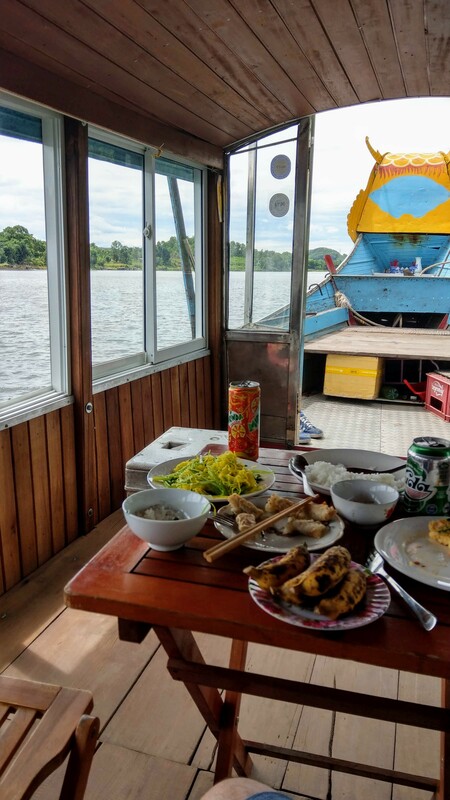 We were forced to pay additional fees for two old men to drive us from the river to the Minh Mang Tombs and for drinks we had on the boat (although the lunch was included and we asked if the drinks were too). 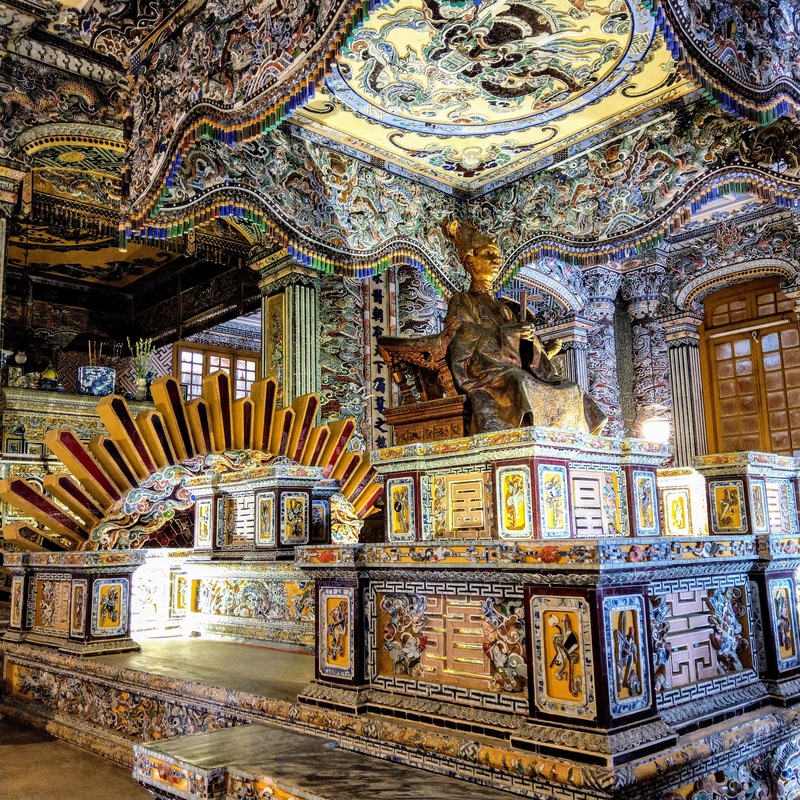 I was glad to visit Hue to have a glimpse at the life of emperors!